Bring your RV or motor home to Kelly's RV/MH Park for an overnight stay or become a resident of our friendly community with fun events. 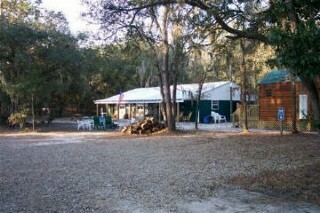 Open for more than two decades and easily accessible from both I-10 and I-75, our family-run RV park in White Springs, Florida features 20 acres of oversized sites that can accommodate up to a 55-foot trailer or motor home. Many of the RV site are paved and all sites contain electric, water and sewer. There are also ample tent sites located close to restrooms with showers. 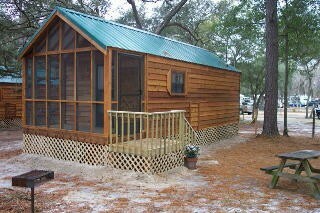 We offer daily, weekly, or monthly rates (lowest in the area) and cabin rentals. Pets are welcome under our pet guidelines. Feel free to invite your children or grandchildren for a visit. Come explore the amazing variety of native trees, plants, and wildlife that share this property. Teeming with pines and lush live oaks draped in beautiful Spanish moss, our park is surrounded by woods filled with tropical palmetto palms and extensive hiking trails. The Historic Suwannee River is located just one mile away, and the Suwannee Valley is noted for its wide range of outdoor activities, especially hunting and fishing. People frequently visit for hiking, biking, and canoeing as well. Regardless of the season, it's always a joy to become immersed in the natural beauty of our local area. You can find gas and diesel fuel within a mile and ample shopping opportunities just 11 miles away in Lake City which also features a variety of restaurants. 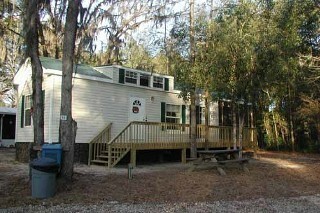 In addition, we are close to Disney World™ and the major cities of Jacksonville and Gainesville. Richard and Mary first started camping on vacations with family more than 55 years ago and fulfilled a lifelong dream when they bought Kelly's RV/MH Park in 2005. Our continuous goal is to provide every guest comfortable stays in a clean, safe, peaceful, and uplifting setting. 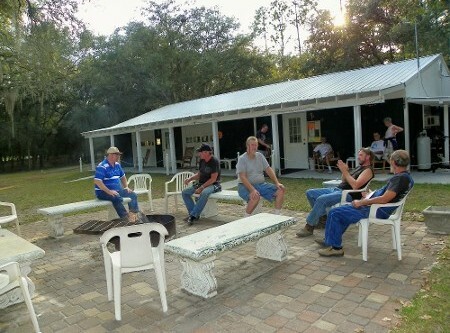 We welcome everyone to join us in experiencing our tranquil North Central Florida RV park located in the scenic Suwannee Valley. Book Our Clubhouse for Events! Office Hours: Monday – Saturday, 9 a.m. – 12 p.m. Contact Hours: Monday – Saturday, 9 a.m. – 8 p.m.